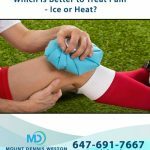 Home / Blog / Which is Better to Treat Pain – Ice or Heat? 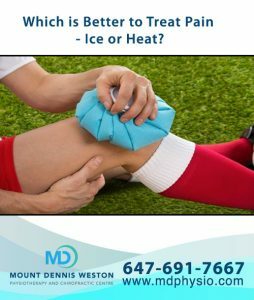 People often wonder which method is best to treat an injury and to decrease pain, ice or heat? Generally speaking, both applications are helpful but have their own respective uses. Let’s first explore when to go the cold therapy route. After an acute injury, such as a sprained ankle, the affected area swells, becoming red and hot as blood rushes to the area. 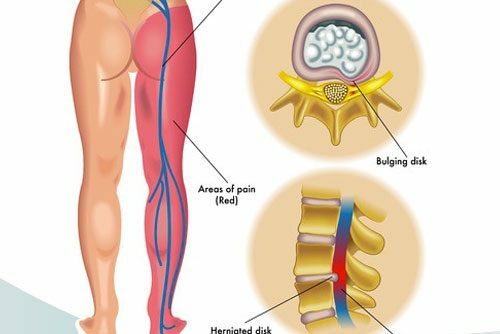 When the area swells with blood, this takes up space and puts pressure on adjacent muscles and nerves, causing pain. In this case, application of ice or cold packs (called cryotherapy) is ideal to induce vasoconstriction (narrowing of blood vessels as a response to cold) and this decreases swelling and pain. Additionally, icing an injured area numbs the nerves, thereby reducing the perception of pain. Cold therapy is ideal to apply to an injured area for an acute (recent) injury for the first four days, to decrease pain and inflammation. 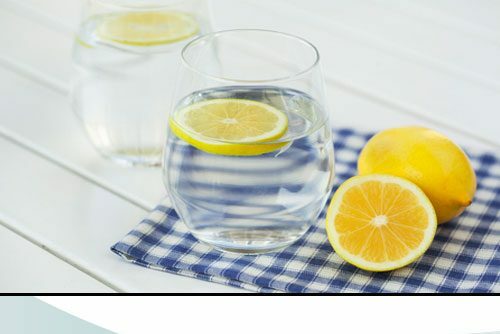 When applying ice, one should never apply it directly to the skin; wrap it in a thin towel instead as ice applied directly to the skin can cause an ice burn. When applying ice to the injured area, keep the ice on the affected area for 10 minutes at a time. It is fine to apply ice several times throughout day, but you should avoid keeping it on that area for more than 10 minutes at a time. Heat therapy is best used to decrease muscle aches and joint stiffness by producing a soothing effect on the applied area. Heat helps to allow muscles to become more elastic and less stiff. Heat promotes increased blood flow to the applied area as the blood vessels dilate (vasodilation). Therefore, it wouldn’t be a good idea to apply it to an acute or new injury or a recently swollen area. 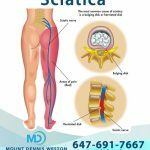 Usually after one to two weeks following the initial injury, the inflammatory process is decreased, and heat can then be applied to a sore area. Heat is best applied to areas that are sore, stiff, and achy, as well as to more chronic types of pain. Heat is especially helpful when used to treat arthritis pain, especially for flare-ups on cold or rainy days. 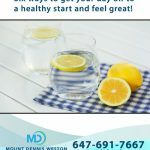 Heating pads, hot water bottles, and warm baths are some common examples of heat therapy at home. When applying heat to a painful area, remember to not leave heat on for longer than 20 minutes, and for safety reasons it is important not to fall asleep with a heating pad turned on. If you are suffering from an injury contact us today to book your appointment so that you can get on the road to recovery.